US equity markets extended gains for a third consecutive day on Friday as they continued to climb and make new all-time highs. The Nasdaq 100 composite index closed in positive territory every single day of the last seven consecutive trading days, while the Dow and S&P 500 have experienced a vigorous three-day-long rally. 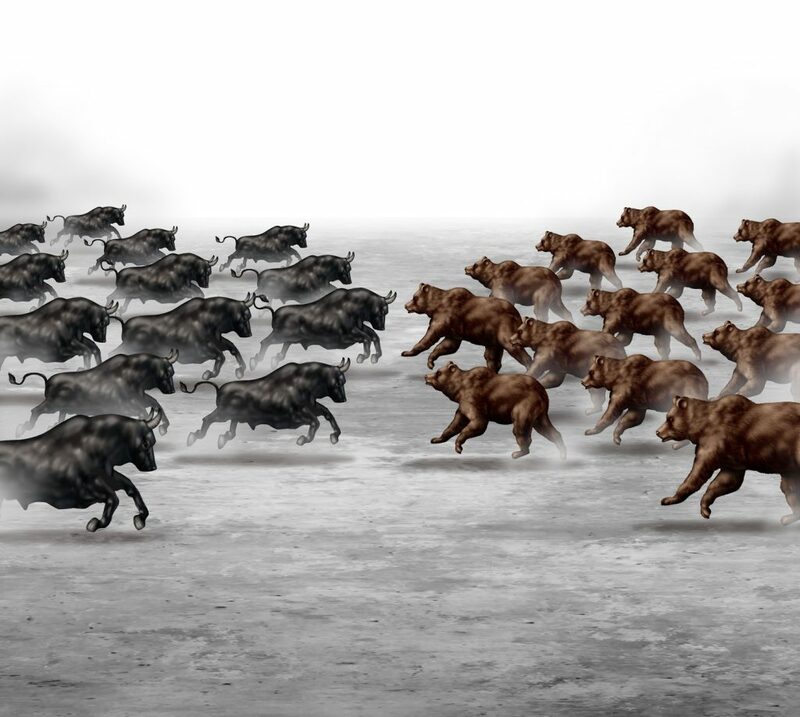 The recent, and by some people’s definition, extended, rally in US stocks has created somewhat of a division among bulls and bears as to where the market will go from here. Omar Aguilar, the chief investment officer of equities at Charles Schwab with over $2.5 trillion in client assets noted how "we're really seeing a bifurcation in views about the market, but that's healthy. When some people are too optimistic and others are too pessimistic, it ends up that fundamentals wind up as the driver." There’s certainly no shortage of bullish fundamental information to keep pushing stocks past record levels. For the first time in six fiscal quarters, corporate earnings, as a whole, have been positive and the labor market is enjoying its longest-ever streak of job creation – ever. Moreover, there is chatter of increased fiscal spending and tax reductions for corporations, which would stimulate the economy and increase the bottom line of companies, respectively. Omar also noted how markets could likely maintain their current trading action well into the first half of 2017. "If stocks took a leg higher we'd see people selling and taking profits, and if stocks fell you'd see people seeking opportunities and buying in," he said. Ultimately, stocks are showing a lot of strength, yet they are still underperforming precious metals. Gold and silver both recovered from a sell-off on Thursday and finished positive for the week. For the year, gold is up 6.74% and silver is up 12.08%, compared with just 3.5% for the S&P 500. Analysts interpret the fact that gold market keeps moving north and recovering from sell-offs, even in the face of rising equity markets, as largely bullish for the precious metal. Usually, investors have a tendency to reduce their gold positions as equities rally, because as markets edge up, investor fear edges down and, therefore, the desire to own gold decreases as well. On a weekly basis, gold and silver have rallied despite the recent uptick in the US dollar. When the dollar appreciates, gold and silver become more expensive for foreign buyers to purchase, so the metals tend to slump – but this has not been the case since the start of 2017. Of course, everything in the market is open to interpretation, but judging by the correlation between precious metals and equities, if the equity rally continues, then the gold rally is likely to continue (as it has been doing since the beginning of the year). But if the equity rally comes to an abrupt halt and a surprise sell-off catches everyone off guard, then gold will likely see a substantial rally for all the right reasons. No matter which way one looks at it, the thesis to own gold is looking pretty convincing.